“Our visit to the United Kingdom was an important step to furthering our engagement with a key international partner towards a solution for the crisis in Yemen. As I reiterated in all my meetings, the STC’s commitment is to a political solution to ending this war, starting with holding the signatories to the Stockholm Agreement to account. It is our duty to our people on the ground to do all we can to deliver this objective, and pave the way for the realization of the Southern people’s aspirations. 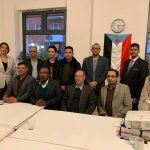 “We welcomed the constructive and detailed meetings with officials throughout, recognising the uncontestable link between a solution for South Yemen and the success of the UN-led political process. The fact is that a durable solution for Yemen will be impossible without addressing the grievances of the South. As I set out in my meetings, a comprehensive solution includes the urgent need for credible Southern representation at the table underpinned by strong international guarantees from our partners. In this regard, we renew our commitment to engaging constructively with UN Envoy Martin Griffiths to ensure that the demands and aspirations of Southerners, including for self-determination, are addressed within his framework for negotiations. “Our calls for an inclusive political process are not just about addressing the needs of the South, but, crucially, to also ensure an outcome that benefits regional and global security. 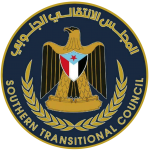 As a legitimate actor on the ground with representation across all six governorates of the South, the STC has developed plans for leading political, economic, and security arrangements, as well as our critical role in fighting terrorism and facilitating humanitarian access to all those in need. This plan, developed with and for Southerners, was warmly received by those we met. 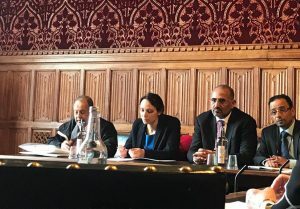 We look to build on these positive engagements and support from our UK partner, including with robust rhetoric on the urgency of a solution for South Yemen. As an indispensable component of Yemen’s political solution, much more must be done to secure concrete progress on the South issue in parallel to the diligent efforts to ensure a ceasefire on the ground and sustain the humanitarian response to the crisis.